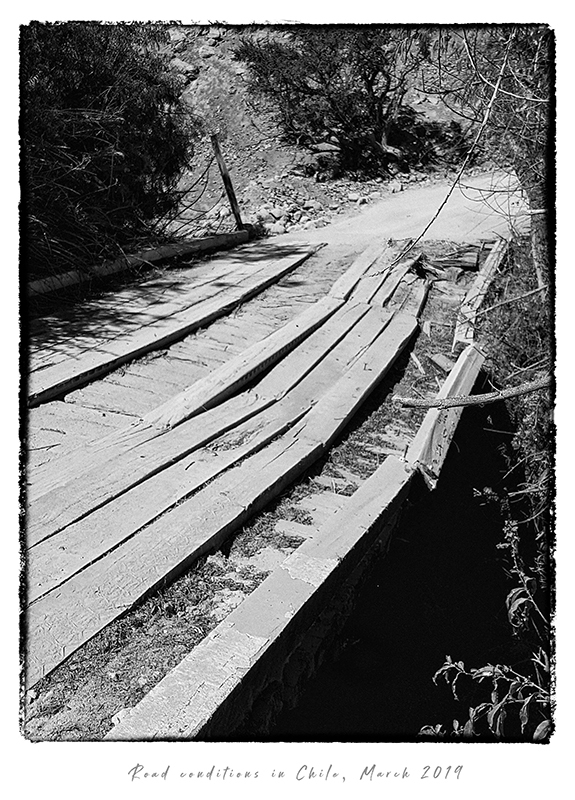 While traveling on the main road that connects the Elqui valley with the Hurtado valley I came upon this damaged bridge. I am not scared easily but when I saw this fragile construction I held my breath. After a quick scan I hit the gas and drove across rather quickly (hoping that it would crash behind me, if it were to collapse). Having arrived safely at the other side, I took some pictures to document the damage for the local authorities. A week later I was traveling on the same road again. The bridge was closed to traffic and a new detour, which doesn’t need a bridge, had been built. Judging from my experience with Chilean authorities, this detour will become the official road, and the old bridge will turn into another derelict landmark. 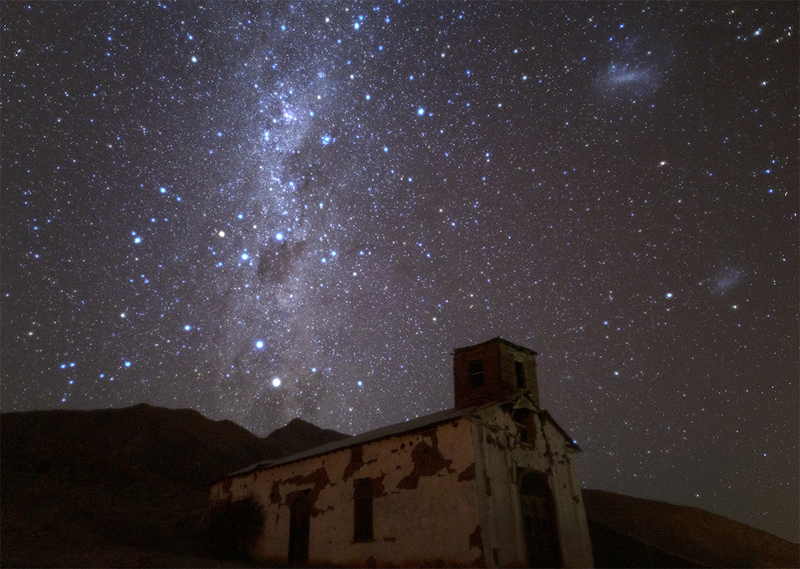 This beautiful nightscape above the derelict church of Serón features many of the well-known objects of the southern sky: the bright stars Alpha and Beta Centauri, the Southern Cross, the Coalsack Nebula, the Magellanic Clouds as well as the globular clusters Omega Centauri and 47 TUC.